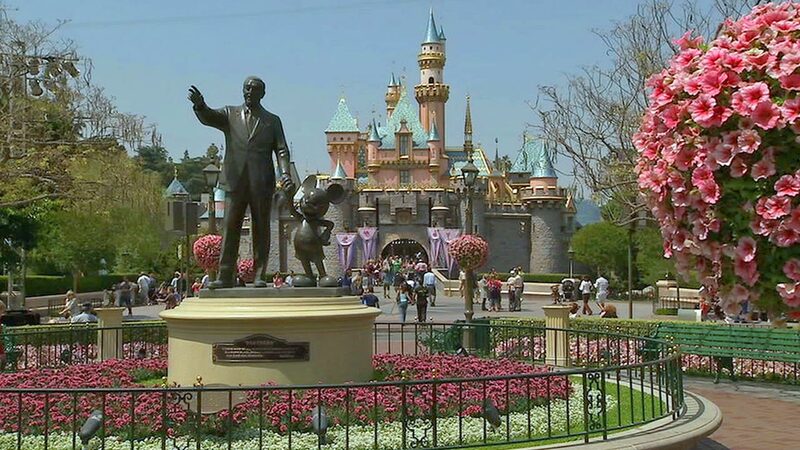 ANAHEIM, Calif. (KABC) -- Disneyland fans get ready to enjoy the theme park after-hours during a series of "Disneyland After Dark" events starting in 2018. The first event is slated for Jan. 18 and will be called "Throwback Nite." Visitors are urged to come dressed in their best for an evening celebrating the 1950s and 60s. There will be live music, dancing and special photo and event locations throughout the park that will take visitors back in time. To make the night extra special, guests will have unlimited digital downloads that are included with event admission. There will also be a special Fantasy in the Sky fireworks show, and the park will be open until 1 a.m.
Park visitors will get a commemorative lanyard and a vintage-inspired park map that will highlight special spots and experiences happening throughout the night. Tickets for Throwback Nite will be available on disneyland.com for annual passholders starting on Nov. 30. Tickets for the general public will be available on Dec. 7. The price will be $95. While this is the first event in an ongoing Disneyland After Dark series, other special events have not been announced yet.